I work with a group of dietitians, so naturally, the subject of food has a tendency to come up. One of my colleagues grew up on a farm and told me about community shared agriculture (CSA) programs. You buy a share which goes towards maintaining and running the farm and in return, you get items from that farm every two weeks. I wanted to eat more vegetables and have a better handle on what items were in season. Although the local farmer’s markets are great for this, most of them don’t run in the winter. I figured that signing up for a vegetable delivery box with a CSA would be the next best thing. Most CSA programs follow organic farming practices and range in price from $25 for a small box (suitable for 1-2 people) and $40 for a large box (suitable for 3-4 people). 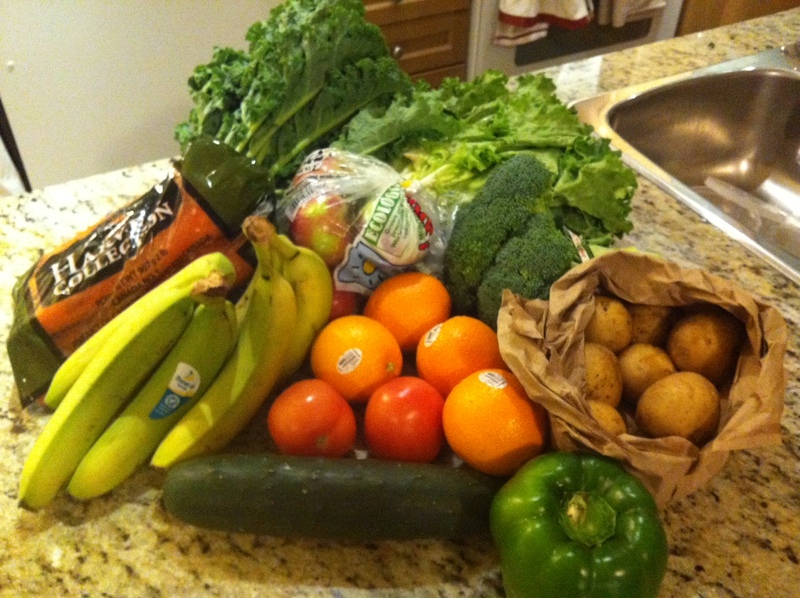 I sign up with Plan B Organic Farms which provides organic produce and offers home delivery. I liked getting a variety of fruits and vegetables each week as well as a newsletter that provided recipes and tips. However, you are required to commit to an entire season which means you pay a lump sum up front and receive a produce box every 1-2 weeks. I signed up for a season and although it felt great to be helping a local farm, I didn’t like being locked into a program for an entire season. I have a tendency to be spontaneous and buy items from other places and knowing that I had a mountain of produce to get through each week felt like a bit of a burden. But I was still very happy with my first CSA produce box experience – it felt great to support local farmers, be more aware of seasonal ingredients, eat organic and have part of my grocery shopping done for me. If you are interested in joining a CSA program, go to the Ontario CSA Directory to find a CSA near you. Are you part of a CSA program? What do you think of it? Let us know in the comments below.